It’s a good week for Microsoft fanboys! Microsoft have today made Internet Explorer 9 Release Candidate available for download. We’ve covered some of the great features IE9 has to offer in the past, we’ve also taken a look at tweaking the browser to better suit your needs. A few enhancements here are there are notable in the newest public release though nothing too drastic from what we already know. Note that IE9 RC is now feature complete. Whilst we may see the odd minor UI tweak here and there and undoubtedly tonnes of bug fixes before it goes gold, know that this is it folks! And I think Microsoft have done it! Hit the link for the direct download links. Microsoft have finally announced the dates Windows 7 SP1 will be available. 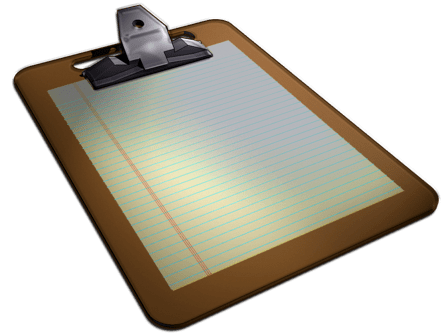 The windows Clipboard is where the computer temporarily stores text, files, graphics etc. that your CUT or COPY resides until you PASTE the content into its new location. Up until XP you could easily check the contents of your clipboard using the ClipBoard Manager. For some blurry security reason Microsoft removed this nifty application from Windows Vista onward. If you miss this feature, fear not – the fix is a simple one. If you have access to a Windows XP installation (XP mode anyone ??) you can copy it to your Windows 8, 7, or Vista machine. Which Windows 7 Version do You Really Need? Buying a new computer these days, chances are, it will come pre-installed with Windows 7 Home Premium Edition. That makes sense from the vendor’s standpoint, as the license for Home Premium costs less and it still has most of the functionality and features that the average user will want. But what if you aren’t the average user? Some Vendors only offer the Windows 7 Starter Edition, which in my point of view is a sham to make you pay even more money for your computer. Steer away from these offers I say – unless of course you enjoy NOT being able to change your wallpaper – ever again. Once in a while, one of your applications will lock up and you would have to kill it (in the good sense of the word). Of course this will cause you to lose any unsaved data. At least you will learn to save your work more often, right?